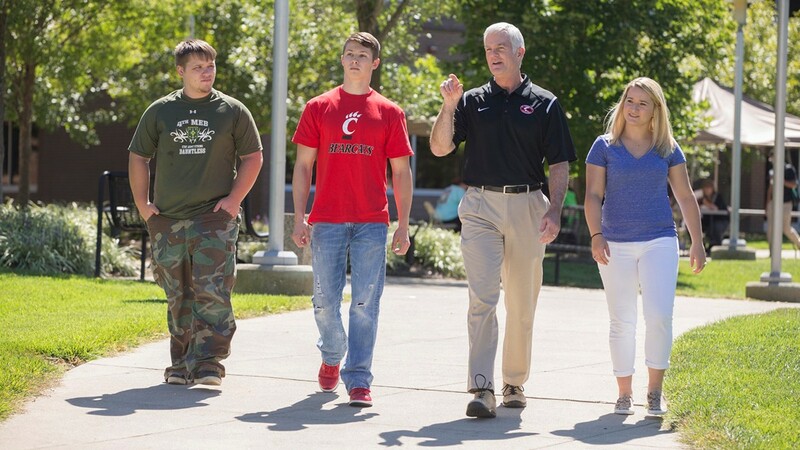 As dean of the University of Cincinnati's Clermont College, it is my pleasure to welcome you to our beautiful campus. UC Clermont serves more than 3,000 students whose studies encompass more than 50 certificate, transfer, bachelor's and associate degree programs across six academic departments. Our tuition is a great value — about half of the cost of other colleges and universities — which makes earning your college education affordable and within reach. Our students enjoy access to all of the same perks available at UC's Uptown Campus, just 25 miles away. That means small class sizes; expert faculty whose focus is on teaching; and a student-centered staff offering personalized attention. Our commitment to helping you achieve your goals doesn't end there. UC Clermont is an open-access college, because we believe everyone should be able to further their education. We meet you where you are on your academic journey and help you to complete your education at your pace. We also provide substantial financial assistance to our students in the form of scholarships and financial aid: The college awards over 200 scholarships totaling more than $400,000 each year, thanks to our generous donors. Support is never far away, whether it be a trip to our Academic Success Center with free full-time tutors, quiet studying time in our 21st-century library or a stop by our Career Services or Accessibility Resources offices. When our students graduate, they are ready to work and easy to hire. Internships, clinicals and practicums, domestic and international study programs, undergraduate research, and leadership development and training allow you to advance your critical thinking and analytical skills while expanding your view of the world and gaining professional experience. While academics are the heart of the college, our students are its soul. That's why we offer national championship collegiate athletics like volleyball, baseball, softball, basketball and soccer, along with a wealth of student activities like student government, cheerleading, and faith-based and academic clubs. Our 91.2-acre campus provides a wonderful environment to learn, relax and collaborate with your instructors and peers. No matter your life path, UC Clermont is here to help you take your first step toward a better and brighter future.